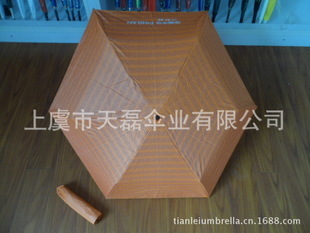 shangyu tianlei umbrella co., ltd. is a raising company engaged in producing umbrellas. we believe that you will get what you need here. our company is located in songxia, which is known as the capital of umbrella in china. we enjoy very convenient transportation. we are specialized in producing all kinds of umbrellas, such as umbrellas forforeign trade, advertisement, eva, golf, sunshade, beach and so on. what's important, we totally arrange production according to your needs really. with more than five years experience in umbrella industry,we have first-class production lines and experienced designers and inspectors to provide a wide range of umbrellas with excellent quality and competitive prices for our customers from all over the world. luckily, our products are well received by customers in europe, america, southeast asia, and the middle east. we wholeheartedly welcome the customers from home and abroad to cooperate with us. the above specs are optional.your design/size/material/colour/logo are all welcome. we also can design the loge according to your special requirements completely or we design it for you.we are hornored to cooperate with the customers all over the world.